Composed by Gus Williams. Arranged by John Blum. Poor persons, Social classes, Clothing & dress, Pride. Lester S. Levy Collection. 4 pages. Published by Johns Hopkins University Sheridan Libraries (LV.4497). 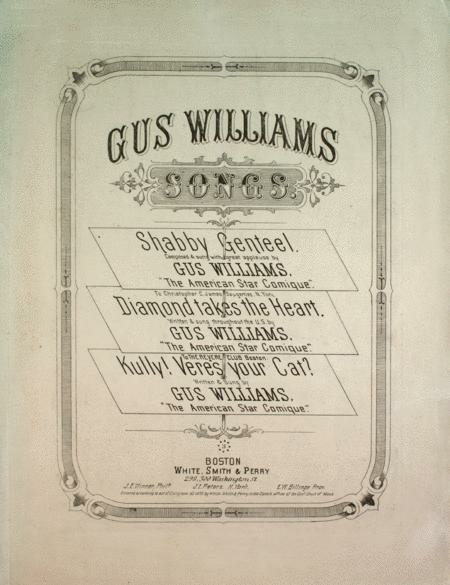 Gus Williams Songs. Shabby Genteel. 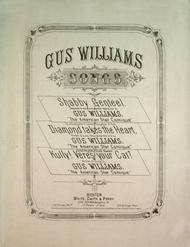 composed by Gus Williams, "The American Star Comique." Arr. by John Blum. Published 1870 by White, Smith & Perry, 298 & 300 Washington St. in Boston. Composition of strophic with chorus with piano and voice instrumentation. Subject headings for this piece include Poor persons, Social classes, Clothing & dress, Pride. First line reads "We'ver heard it asserted a dozen times o'er, that a man may be happy in rags. ".